Keçecizade Fuat Pasa graduated from the faculty of medicine. Fuat Pasa who was brought to critical posts from time to time, served as the Secretary of Foreign Affairs during the most critical time of Crimean War and was presend during the negotiations of Paris Peace Treaty. He was assigned to plan the “Tanzimat” (Reorganizations) in 1854. He was elected to the Ottoman Grand Council and became the head of the council several times. In the following eight years, he worked as the Secretary of Foreign Affairs and Grand Vizierate. He passed away in 1868 in Nice, France where he went to spend the winter. Fuat Pasa Mosque was built for Fuat Pasa in Cemberlitas, Peykhane Street over the ruins of Suca Mosque in the 19th century. The mosque is made of Stones and bricks with a single dome and has 100 square metres iner space. It is and octagonal building with salient largely built windows. 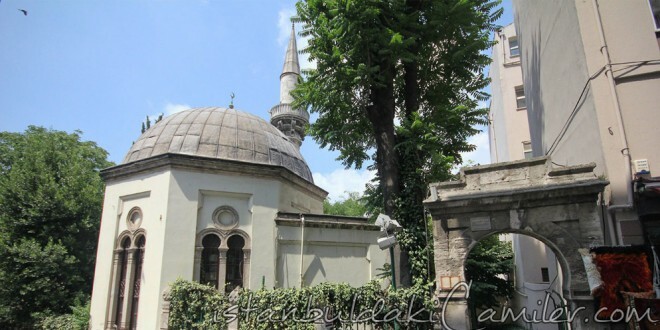 In a signboard in the mosque it is written that the mosque was built for one of the men of Fatih Sultan Mehmet, Uzun Suca, and that he was buried in front of the mihrab of the Debboyhane Mosque which was built for Fazlı Pasa. The singboard was firstly written by renowned calligrapher Ebubekir Rasit, and when it was ruined in time it was afterwards written by Bekir Efendi. Its single minaret is made of stone with a single balcony and in the middle of its body there is a girdle decorated with star motifs.